On Thursday, March 23, Asheville GreenWorks presents its annual Environmental Excellence Awards, honoring outstanding achievements in environmental sustainability by individuals, organizations, schools and businesses located in Asheville and throughout Buncombe County. The 2017 awards celebration will be held at the Asheville Masonic Temple in downtown Asheville from 6:00 p.m. to 9:00 p.m. The evening will include beer, wine and heavy hors d'oeuvres. A children's area with activities will be available for guests twelve and under with childcare included. Helen Chickering, reporter and host of All Things Considered for WCQS-FM public radio, will emcee the awards ceremony to announce and honor the winners of the 2017 Environmental Excellence Awards. Winners of Environmental Excellence Awards are selected based upon evidence of results that positively affect the environment. A panel of individuals representing a cross-section of the community, including Asheville GreenWorks staff and board, City of Asheville Sustainability Office, and business, youth and community leaders, evaluates nominees. Criteria include effectiveness; innovation, creativity and originality; environmental stewardship; leadership; and sustainability elements (how a nominee has improved social, economic and ecological conditions). Past Environmental Excellence Award recipients represent a diverse cross-section of Asheville business and civic life. Some past winners include Green Sage Cafe, The Law Office of David Gantt, Posana Restaurant, FLS Energy, Pulliam Properties, ThermoFisher Scientific, and Sierra Nevada Brewing Company. Susan B. Roderick Lifetime Achievement Award – Recognizing an individual or organization for a lifelong or long-term contribution to environmental stewardship. Individual – Recognizing a person contributing to environmental stewardship through volunteer, conservation, leadership, community-building or innovation efforts. 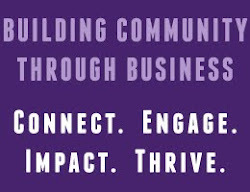 Business (Small and Large) – Recognizing a business contributing to environmental stewardship through volunteer, conservation, leadership, community-building or innovation efforts. Organization – Recognizing a non-profit organization contributing to environmental stewardship through volunteer, conservation, leadership, community-building or innovation efforts. Education – Recognizing an individual or organization that has demonstrated leadership through educating others about the environment. Tickets for the Environmental Excellence Awards Night are $55 for General Admission ($10 discount for Asheville GreenWorks members); $25 for Young Adults (25 and under); and $15 for children 16 and under with a ticketed adult (includes kid-friendly meal and childcare). They can be purchased online at bit.ly/AGWEEA2017. More information is available at ashevillegreenworks.org/environmental-excellence-awards. Established in 1973, Asheville GreenWorks inspires, equips and mobilizes individuals and communities to take care of the places we love to live. With thousands of volunteers, Asheville GreenWorks engages the community in grassroots projects including tree plantings, urban agriculture, environmental cleanups, anti-litter and waste reduction education, creation of green spaces, and preservation of Asheville’s rivers and trees.